Last July, the bird photography community lost one of its most well-known and accomplished professional artists—Tom Vezo—who suffered a heart attack while hiking in the mountains near his home in Arizona. I first met Tom in 1997 while we were photographing birds in south Texas. I was immediately struck by his warm friendliness and inspired by the passionate drive with which he pursued his work. But it was his sense of humor and the good-natured bantering we shared that I enjoyed most about him. We became fast friends. He shared many technical tips with me, an emerging photographer myself, and we eagerly discussed everything from new photographic gear to the state of the nature publishing industry. Every photographer whose life Tom touched—and there were many over the years—agrees that, while he was proud of his accomplishments, he also generously shared information and was eager to encourage others. Tom grew up on Long Island, New York, and originally made his living in the printing industry, traveling to and from his New York City office. But inside this successful businessman, beneath his suit and tie, a passionate outdoorsman yearned to be set free. Sport fishing initially filled Tom’s need to connect with the natural world but later he became involved with Long Island’s birding community. In the early 1980s, his love of birds was quickly developing into a passion for photographing them. At that time he often shot with such veteran bird photographers as Arthur Morris and Kevin Karlson, stalking shorebirds at Long Island’s Jamaica Bay and eagerly anticipating migrant songbird fallouts on Jones Beach. Along with other Long Island bird photographers, they shared images, critiqued each other’s work, and fed on each other’s excitement about their burgeoning craft. By the early 1990s, Tom was becoming more and more dissatisfied with working in a city office, and he eventually sold his company to become a full-time wildlife photographer. Now free to travel to fulfill his creative desire for beautiful subjects, he crisscrossed North America from Texas, Alaska, and California to Maine and Newfoundland, and also traveled as far afield as the Galápagos Islands and Antarctica. The stunning images he created began gracing the pages of birding and nature magazines with increasing prominence, and his name soon became the buzzword in nature photography circles. He received an honorable mention in the prestigious BG Wildlife Photographer of the Year contest in 1997 and won awards in the Nature’s Best Photography magazine’s contest for “Wildlife” in the professional category in 1998 and 1999. With his printing experience, Tom approached nature photography with a designer’s eye. He strove to capture color and action in his photographs, but instead of always going for close-ups he often preferred to compose an image artistically, leaving the bird fairly small in the frame to include its habitat. His background in printing meant that he always appreciated fine quality photographic reproduction. One can get a sense of his artistry in his books, the first of which was Wings in the Wild (Stackpole Books, 2001), written by Paul Kerlinger. Next came Birds of Prey in the American West (Rio Nuevo Publishers, 2003), written by Rich Glinski, which won an award for its design. Tom worked long and hard on this project, tracking down elusive subjects and spending countless grueling hours in hot photography blinds. Tom’s most recent book, Wings of Spring (Stackpole Books, 2006), written by Birder’s World editor Chuck Hagner, won first place for “Photographic Design and Artistic Merit” from the National Outdoor Book Awards. By the late 1990s, Long Island no longer satisfied Tom’s photographic needs, so he decided to move to Arizona to be closer to the western locations he loved to photograph. After marrying, he and his wife Dorothy built a beautiful home, landscaped expressly for bird photography. Surrounded by dramatic desert scenery and with a whole new suite of avian subjects to discover, Tom let his creative spirit soar with renewed enthusiasm. In addition to his signature bird images, he began producing spectacular landscape photographs. One of my favorites is a photograph he took of the Santa Rita Mountains under the brooding clouds of Arizona’s monsoon season, a flash of lightning punctuating the late afternoon sky. Yet birds were never far from his heart and his lens, even in his western landscapes—in an image of Mt. Moran emerging from the mist in Grand Teton National Park, Wyoming, a flock of Canada Geese takes flight, almost as an afterthought, from the Snake River below. Always an advocate for environmental protection, Tom became directly involved in recent conservation efforts in his adopted home state of Arizona, in particular in protecting Madera Canyon, a unique habitat nestled in the Santa Rita Mountains and home to such Southwestern specialties as Elegant Trogon and Elf Owl. 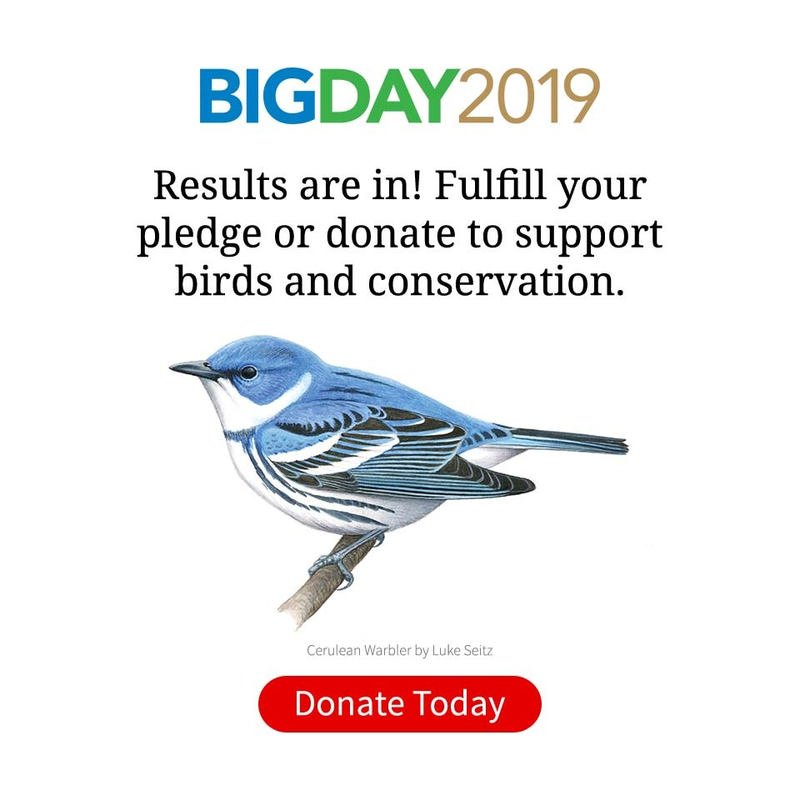 When the canyon faced threats in 2007 from proposed housing developments and mining interests, he organized a fund-raising event with landscape photographer Jack Dykinga and birding author Kenn Kaufman, moving audiences with his spectacular photography. Tom, you were taken from this earth far too soon, but your spirit will live on forever through your magnificent bird photographs. 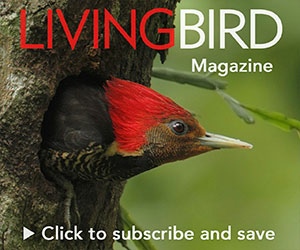 Living Bird is honored to present a selection of our favorites. Marie Read is a bird photographer, book author, and magazine writer based in Freeville, New York. Her work is featured regularly in this magazine. Visit her web site at marieread.com.